COMING HOME started the year – Agelink’s play about the first tribute to a returned serviceman from Gallipoli – ANZAC COTTAGE in Mount Hawthorn, built by the community. The main stage production this year was LIFE IN THEIR HANDS, at Subiaco Arts Centre. This play by Jenny Davis celebrated the centenary of King Edward Memorial Hospital for Women. The professional cast were joined onstage by the Vocal Ensemble Voiceworks. 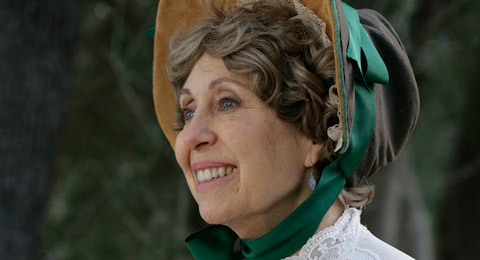 At Enderslea Farm we staged another play by Jenny Davis AND NOW THE GOVERNOR’S WIFE – an imagined conversation between Lady Stirling, Mrs Hampton and Lady Broome. This then relocated for one performance only to the Government House Ballroom. Our second show for people with dementia was in partnership with Bethanie Care and culminated in a performance with professional musical theatre performers and the residents on stage at Subiaco Arts Centre, demonstrating that people with dementia still have much to offer. An evaluation study of the project showed very positive results for participant regarding engagement and mood elevation. The 2016 Christmas musical touring show, MEMORIES ARE MADE OF THIS, featured songs from the 1950s and delighted many senior groups. ** Our special program for 2016 was in partnership with BIG SKY ENTERTAINMENT and BEVIN Design. THE SHAKESPEARE 400 FESTIVAL, supported by Lotterywest, the DCA and City of Perth was a community engagement project celebrating the400th anniversary of the Bard and producing interactive and accessible free events for the public. The first event was huge concert on April 23rd in St George’s Cathedral, featuring many local actors and musical performers and other artists. For WA day the team from BIG SKY created pop up performers of all ages around the metro area performing short scenes from Shakespeare. In October the Festival culminated in a huge Festival Day at UWA, attended by 3,000 people and featuring dozens of performers and stall holders. Congratulations BIG SKY ENTERTAINMENT! 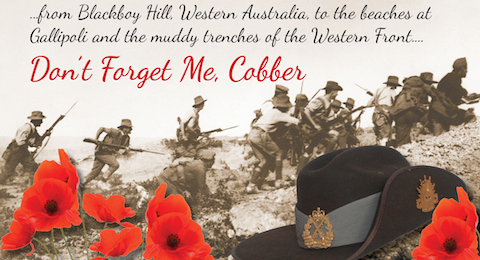 To commemorate the centenary of Gallipoli and the ANZACS, Agelink produced our own show, DON’T FORGET ME COBBER, based on the letters and diaries of West Australian servicemen and nurses. Our two year oral history project about WA after WW11 culminated in a play, THE TIME OF YOUR LIFE, with a large cast aged 5 – 80, following the lives of two girls growing up in a small wheatbelt town. 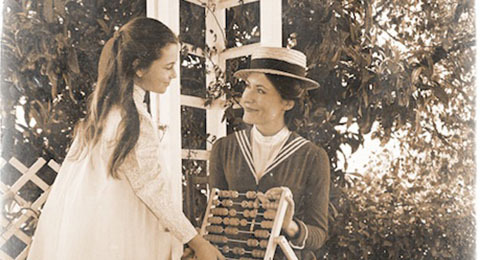 At Enderslea Farm we produced Jenny Davis’ play RED FLOWERING GUMS set in 1929 – four real life women from education, the art world and from politics discuss their life and times. One was the owner of Enderslea at that time. The play utilises images of paintings by the artist of wildflowers photographed by one of the four. Our first project for people with dementia, RECAPTURE THE MOMENT, was an interactive musical theatre show and reminiscence box that toured facilities in Perth. Our Christmas musical show, SOME ENCHANTED EVENING, toured the metro area, while our Christmas special event, A CHRISTMAS MIRACLE, told the story of the Christmas eve amnesty in 1915 between The Allies and the Germans on the front line in France. For this show we were partnered by the Perth Undergraduate Choral Society. Our new play, CIS AND BARBICHE, by Jenny Davis, based on the WWII letters and diaries belonging to a WA senior had two short seasons in Perth and toured to the UK to play at the prestigious York Theatre Royal during the Tour de France in York at the invitation of Elvington Air Museum. 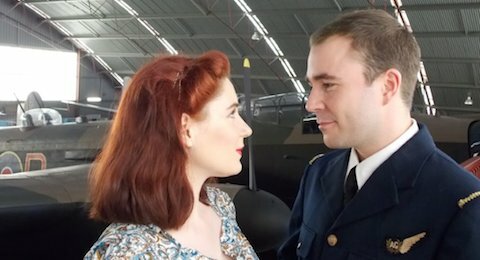 The true love story of Francis, a French airman with the RAF, based at Elvington, and Barbara, a 19 year old student from Liverpool, captured the hearts of many and reminded us of the extreme dangers faced by the young men in Bomber Command. CIS AND BARBICHE at Subiaco Theatre Centre sold out to appreciative audiences and toured to the Queens Park Theatre in Geraldton. Starring Jo Morris, Mark Desebrock, Alinta Carroll, Nikki Dagostino and Siobhan Dow-Hall. This year we created 4 completely new shows as well as revising some old favourites like SARAH OF ENDERSLEA FARM and A COLONIAL CHRISTMAS CAROL (performed at Mandurah PACS). WE CAN WORK IT OUT was a musical show created for The Older Womens Network at Don Russell Theatre in Thornlie and Agelink also created a show for the centenary of East Victoria Park Primary School. Two new shows were created for the Christmas period. The musical show about the early works of Rodgers and Hammerstein, WITH A SONG IN THEIR HEARTS, by Sally Tunnicliffe, toured to metro libraries and starred Craig Skelton, Alinta Carroll and Lauchlan Bain. A CHRISTMAS MIRACLE by Jenny Davis. This piece for actor and choir about the Christmas truce between soldiers of opposing armies in the WWI trenches was in association with the Perth Undergraduate Choral Society and was performed at Trinity Church on St Georges Terrace, starring Stuart Halusz. Agelink’s twentieth anniversary year has been busy with old and new projects and new directions. As a special celebration, the very popular “Dear Heart” by Jenny Davis and starring Rebecca Davis and Stuart Halusz, returned to the stage at the State Library of WA theatre, with live music by pianist and vocalist Craig Skelton and the sublime vocals of Alinta Carroll and Lisa Harper Brown. 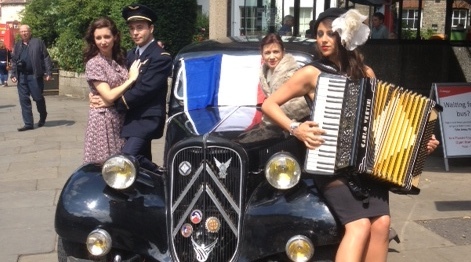 The performances were accompanied by the first our public “Living Histories” workshops. The “Living Histories” project has continued with more sessions in Seniors Week at City Place, collecting stories and reminiscences about the 1950’s with a view to creating a future show. Jenny Davis also worked again with Esperence Community Arts, providing workshops and dramaturgy to support their new initiative at the Bijou Theatre, where local writers aged 18-80 created monologues from local stories for an exciting theatre presentation entitled “Our Stories”. “River of Hopes and Dreams”, written and directed by Jenny Davis and starring Alinta Carroll, Dan Luxton, Jenny Davis and Joe Reeves, was created for Foundation Day at Peace Be Still homestead in Chittering, and tells the stories of early white settlers along the Swan River. 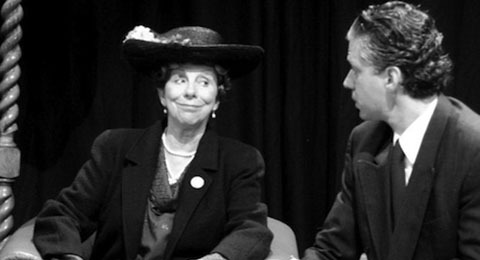 Jenny also wrote further character monologues for Gosnells City Summer Moonlit Walks, and assisted the Older Women’s Network in Gosnells by writing and directing their pantomime at the Don Russell Theatre. “Been There Done That” by Sally Tunnicliffe and Jenny Davis was recreated for the COTA Conference at the Esplanade Hotel in Fremantle, starring Jenny McNae and Peter Fry with musician Joe Reeves. Agelink was also commissioned to create a show for the 160th anniversary of Enderslea Farm in Chittering, built by the Morley family and with a convict built stone barn. “Sarah of Enderslea Farm”, written and directed by Jenny Davis starred Irene French, Andrew Southern and Oliver Haluszkiewicz, with music by piano accordionist, Eddie Staszak, and was performed in the barn itself in September – a moving and evocative experience. Our final show for 2013, the Christmas library tour of “Some Enchanted Evening”, by Sally Tunnicliffe, stars Alinta Carroll, Nick Maclaine and Craig Skelton. Further performances of Swan River Saga by Dame Mary Durack, starring Jenny Davis with violin by Madeleine Antoine and directed by Jenny McNae, took us “on tour” to Gosnells (Don Russell Theatre) and Midland Town Hall, while “My Favourite Things” by Jenny Davis and Tim Schoenmakers, directed by Sally Tunnicliffe and starring Alinta Carroll and Craig Skelton, was a popular choice for Morning Melodies events. This year Jenny Davis also wrote new “Ghost Walk” characters for Gosnells City Summer Moonlit Walks in the hills around the old timber workings. Our Christmas show touring libraries for 2012 was “Champagne and Roses” written and directed by Sally Tunnicliffe and starring Caroline Mackenzie, Michael Loney and Craig Skelton. Our interest in our heritage was highlighted by the recreation of Dame Mary Durack’s celebrated play, Swan River Saga. Based on the diaries and letters of Eliza Shaw, who landed on the beach at Fremantle with her young family in 1829, the play follows the fortunes of Eliza over 50 years, through good times and bad, personal tragedy, huge spirit and determination and sorrow and merriment. Directed by Jenny McNae OAM, the play stars Jenny Davis as Eliza with interludes on the violin by Madeleine Antoine. Although a play for a solo performer, by the end of the performance we have met so many other well drawn characters and enjoyed a wealth of historic detail. This year we performed the play in a beautiful heritage venue, St George’s Cathedral, accompanied by a popular art exhibition featuring paintings of the Swan River by Robin Tunnicliffe. After recreating our Morning Melodies show “The I’s Have It” for various venues during winter, we settled down to producing our Christmas tour to libraries of “My Favourite Things”, featuring Alinta Carroll and Craig Skelton and the songs made famous by Julie Andrews – as well as some more unexpected and unusual of her numbers. 2010 saw us travelling into the country to research and write a play based on the memories of a group of farming women in the hinterland of Esperance. Living in lonely and pioneer conditions with young children in tents and vans during the 1960’s and 70’s, on newly opened farm land, without power, roads or electricity, the women formed a support group and called themselves THE CAPTIVE WIVES. This became the title of the play, by Jenny Davis, that was an enormous success at the Bijou Theatre in Esperance, with a local cast, and brought a tremendous feeling of solidarity to the community. The project, commissioned by Esperance Arts, emphasises the benefit to a community by having its stories told in a theatrical format. Also this year we revived our perennial favourite AS SHIPS PASS BY. We performed a piece about the first female West Australian MP, Edith Cowan, for the WA Associations Local Government Conference, and our Christmas tour featured Alinta Carroll, Brendan Hanson and Alistair Smith in a musical tribute to Irving Berlin and Ivor Novello, THE I’S HAVE IT. Our Christmas tour to libraries and Morning Melodies at His Majesty’s Theatre was entitled A LITTLE OF WHAT YOU FANCY, starring Rosemary Barr, Irene French and Elwyn Edwards, with Julian Casey at the piano. A seasonal tribute, the show celebrated festive foods and customs through the ages. 2008 was another big year for us as we again took DEAR HEART** by Jenny Davis and starring Rebecca Davis and Stuart Halusz, overseas, this time by invitation from The King’s Head Theatre, London. We had excellent reviews during our four week season. As part of our fundraising efforts to get to London, Agelink, in association with Sally Burton and Paul Brownstein, screened Richard Burton’s HAMLET directed by Sir John Gielgud at the Astor Cinema which drew a full house of 800 people. Never before screened in an Australian cinema the event was a rare chance to see one of the great Shakespearian performances of the twentieth century. For our Christmas season we performed two productions – BEEN THERE DONE THAT TOO compiled and written by Sally Tunnicliffe, which starred local theatre veterans Jenny McNae, Irene French, Sally Sander and Maurie Ogden, with Craig Skelton as Musical Director. The show toured to local senior centres and libraries as well as a performance at His Majesty’s Theatre as part of their Morning Melodies program. A COLONIAL CHRISTMAS CAROL by Jenny Davis and Jenny McNae completed the year for Agelink with a special gala performance starring Edgar Metcalfe, Jenny Davis and Jenny McNae with Craig Skelton as Musical Director. 2007 saw Agelink take on an extremely successful overseas tour to the Edinburgh Fringe Festival. We took two shows: DEAR HEART** by Jenny Davis and starring Rebecca Davis and Stuart Halusz, as well as HERE TO STAY**, written by Jenny Davis, directed by Jenny McNae and starring Rebecca Davis, Stuart Halusz and Irene Jarzabek. Both plays were extremely well received with excellent reviews. Our main stage production in Perth (at the Subiaco Arts Centre) was local playwright John Bishop’s wonderful play THE GREATEST WOMAN IN THE WORLD**, based on the life of the world renowned Italian educator, Maria Montessori. For our Christmas season Agelink board member Sally Tunnicliffe wrote BEEN THERE DONE THAT a play about ageing dis-gracefully (!) which starred local theatre veterans Jenny McNae, Irene French, Sally Sander and Maurie Ogden, with Craig Skelton as Musical Director. The show toured to local senior centres and libraries as well as a performance at His Majesty’s Theatre as part of their Morning Melodies program. 2006 was a very busy year starting with our very moving production of AIRSWIMMING** by Charlotte Jones at Fremantle Arts Centre and PICA, Perth, starring Rebecca Davis and Caitlin Beresford Ord. This was followed by a season of the much loved DEAR HEART** by Jenny Davis Downstairs at His Majesty’s Theatre starring Rebecca Davis and Stuart Halusz. We have also toured two productions around the Perth metro area, WIRELESS HEAD** by Kate Rice (based on real stories from the City of Melville) and A GIRL IN A GREATCOAT** by Phillip Mackenzie. The girl in the title was Phillip’s mother who was part of the Womens Army Auxiliary at the Somme in WWI. Our final show for the year was A COLONIAL CHRISTMAS CAROL** for Morning Melodies at His Majesty’s Theatre. 2005 saw our first and very successful national tour. QUARTET, by Ronald Harwood, toured Victoria, NSW and WA with seasons at the Playhouse in Canberra and the Playhouse Theatre in Perth. QUARTET is a comedy about four opera singers in a retirement home, and not only deals with the issues of ageing with great humour and poignancy, but allowed us to feature wonderful and much loved senior actors who bring a lifetime of professional experience to the stage. THE SECOND OLDEST PROFESSION, featuring twenty of Perth’s most popular performers, was our special event at the Government House Ballroom – a comical look at the history of theatre. In 2004 we toured our Christmas show HERE WE GO A WASSAILING, and combined with Midnite Youth Theatre in RIVER DREAMING by Jenny Davis, an event at Government House, Perth, celebrating life alongside the Swan River since settlement days. In 2003 we produced A COLONIAL CHRISTMAS CAROL** by Jenny Davis & Jenny McNae– the year is 1860 and four convicts prepare to present the Dickens novel as a play to the Governor. This play was presented as the GOLDEN DAYS OF LIVE RADIO. Our project for the Centenary of Federation, entitled AS SHIPS PASS BY ** (sponsored by the Curtin electorate and Healthway) toured the Curtin electorate and metropolitan area in Feb 2001 as part of the Fringe Festival. The shows success led to a return season in April/May 2001 including a schools’ season, and a short season at Chapel Off Chapel Theatre in Melbourne. AS SHIPS PASS BY was also remounted by the Midnite Youth Theatre for their tour to the UK in January 2002. AS SHIPS PASS BY looks at social changes and events of each decade of the twentieth century through the eyes of children. WHAT IF SHE DOESN’T KNOW US? (1998)** is a video drama/documentary made for the Alzheimer’s Association in association with Christ Church Grammar School about the problems facing families with teenagers caring for relatives with dementia. THE CATHEDRAL ON THE TERRACE (2000)** is a video documentary about St Georges Cathedral, Perth, and its place in society on the verge of the new millennium, based on interviews and research. 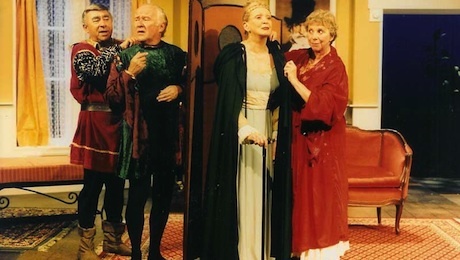 AGELINK THEATRE’S first production, A POCKETFUL OF MEMORIES (about the Depression Years), was performed in Seniors’ Week (1993) in seniors’ centres, schools, Forrest Place, Perth, and St John’s Square, Fremantle. In 1994 and 1995, AGELINK toured extensively with THE ROARING FORTIES, which featured stories from World War II, at home and abroad. The program was performed at metropolitan and country seniors’ centres, schools, libraries, the Subiaco Theatre Centre, Curtin University, Perth Town Hall and other venues. 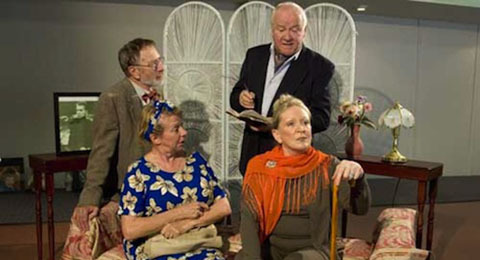 Other AGELINK productions include HERE TO STAY (1995)**– from the reminiscences of migrants who arrived shortly after WWII; A CHRISTMAS SPIRIT (1996) – memories of Christmas before WWII, a centenary show for the Midland Town Council performed in the Railway Yards in 1996; DON’T FORGET ME, COBBER (1997 & 98) – from letters and diaries of World War I (commissioned by the Department of Veterans’ Affairs for the schools’ Remembrance Day service at the Army Museum, Fremantle); THE SPIRIT OF CHRISTMAS (1997)**; A TRIP DOWN MEMORY LANE (1998) – for the Department of Veteran Affairs 80th anniversary of the Repatriation Commission, and CHRISTMAS PAST (1998). RIVER, PEOPLE, PIPES AND PLANES (1997)** was a history of Maylands based on the memories of long term residents from the area, and was performed for two weeks at Tranby House (in association with the National Trust) – daytime performances to schools and evenings to the general public. REMEMBER WHEN (1998 & 1999)** was commissioned by the City of Gosnells (who received support from funding bodies) and portrayed the history of Gosnells from first settlement up until the 1950’s, again drawing mainly on the memories of residents and local historical research. REMEMBER WHEN was performed around Gosnells at seniors’ centres, the Orange Tree Farm Museum (schools performance) and the Don Russell Performing Arts Centre. STARS IN YOUR EYES (1999) is a musical show based on the cinema of the 1930’s and 40’s. In 1999 we also produced a show for the National Trust about the history of Woodbridge House, and in 2002 the travelogue program GOOD TIMES ABROAD. ** Titles marked with an asterisk are available to view on video/DVD for booking purposes only. Agelink has also acted as writers and directors with two pageants staged by the RSL – the 1995 Perth Cavalcade at the Entertainment Centre, and the 1997 City of Perth International Tattoo staged in the Supreme Court Gardens.